When I was young, I stayed in hotels when I traveled. It was a different world. Without computers, you were bound to travel agents who were able to connect with the world through the magic of the Telex (a sort of proto-text message system in real time with hard-copy sends and replies). When I got ready to take a trip, I would ask the agent about places I’d read about in papers or magazines like the NYT travel section, Travel and Leisure, Gourmet magazine or places that friends told me about and then the travel agent would take care of the arrangements. Everything is different now. Thanks to the internet, the wonderful world of Bed and Breakfasts is at my fingertips. Almost all of them have their own websites so you can really see what the places are like. Although there is something wonderful about room service, maids and concierges, there is also something grand about historic houses with rich ancient character owned by charming people. 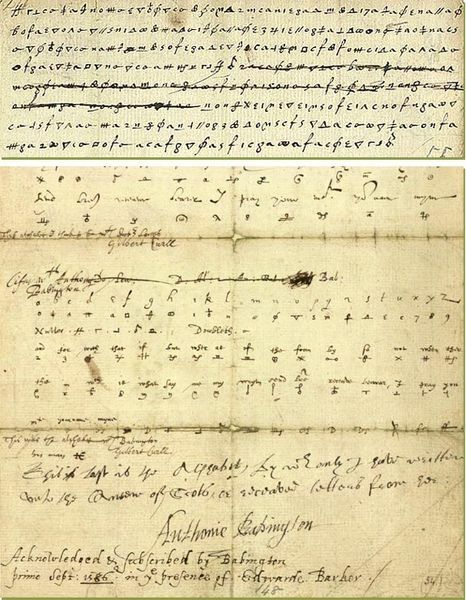 One such place was The Manor Farm at Dethick run by Simon and Gilly Groom. I stayed there when I went to visit Chatsworth as Dethick is near to many of the great houses in Derbyshire. Everything I read about the place drew me there. The village of Dethick is a small circle of ancient buildings scattered around the Church of John the Baptist that was built by Geoffrey Dethick in the beginning of the 13th century… captivating. The Manor Farm was built in the 15th century but was rebuilt in the 16th century by the Babingtons. If you are an English history buff like me, that name will ring a bell. Anthony Babington was born here in 1561. He is forever remembered for being part of the plot to kill Elizabeth the 1st in an effort to put Mary Queen of Scots on the throne of England. 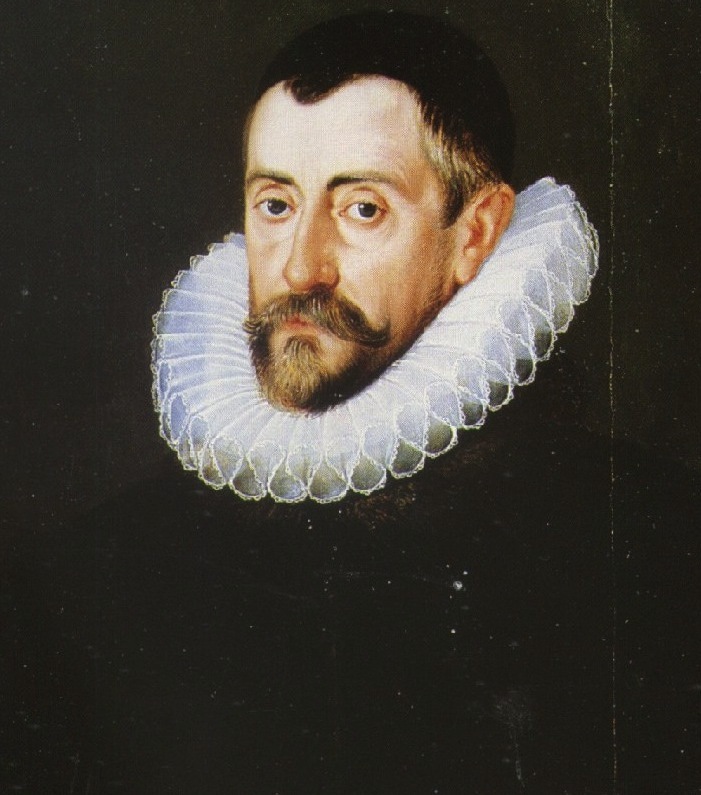 The plot was discovered by Queen Elizabeth’s spymaster Sir Francis Walsingham. 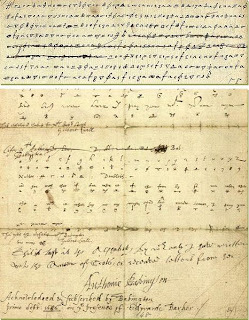 It involved smuggled secret letters, forgery, ciphers and codes worthy of a Le Carre novel and came to be known as The Babington Plot. Young, passionately Catholic Anthony had fallen under the thrall of the romantic figure of Mary Queen of Scots and might have even met her when he was an impressionable teenaged page at Earl of Shrewsbury’s house where she was being held (she was moved from one to another of Shrewsbury’s holdings during her captivity). Her charisma was the stuff of legend. 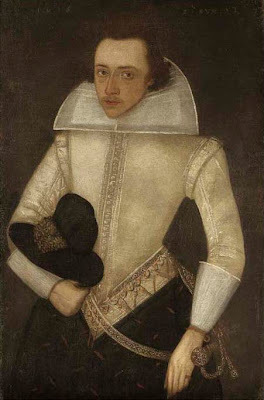 Babington was executed in 1586 at barely 25 years old for his role in the treason in a most horrible way (you really don’t want to know) even though there were letters to Mary that showed he had reservations about killing a queen. 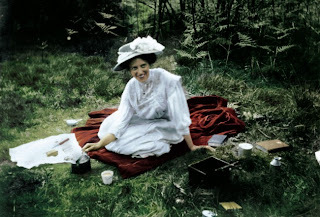 It comes as no surprise that Manor Farm and its Tudor inhabitants inspired children’s book writer Alison Uttley (who wrote The Little Gray Rabbit ) who grew up nearby in another idyllic village called Cromford. In her 1939 best seller, A Traveller in Time , a dreamy, sickly child named Penelope is sent to recuperate at a country house called Thackers –– a thinly disguised Manor Farm. 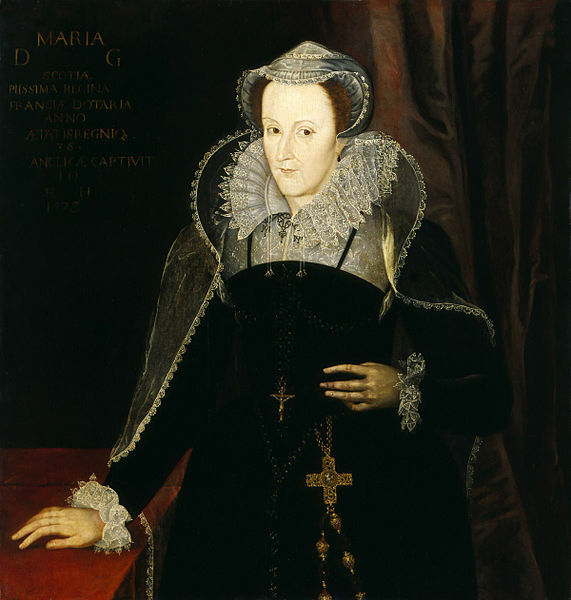 There she is transported back and forth to Elizabethan times and becomes involved in the Mary Queen of Scots plot herself… trying to save the family and Mary from disaster. I can totally see why the enchanted house inspired Uttley to write the book (the present owners are hosting an Alison Uttley Festival at the farm August 26-29 this year if you’re a fan). All this history is held in the golden stones of the place –– you can feel it like a ghostly pulse. Here time softens every edge –– burnishing the colors of walls and fences. But it is alive in the present as well. It is also a 170-acre farm with an ancient breed of piebald (black and white) sheep called the Jacob as well as heritage breed cattle. I arrived just as they were finishing the shearing… a great racket of bleating could be heard from the very vocal sheep, obviously not amused by the indignity of the shearing. They looked much lighter as they trotted away and none the worse for the experience. Simon and Gilly Groom are the current owners of the farm. Both had worked for the BBC and took the place over from Simon’s parents a few years ago. It’s a warm wonderful house with breakfast served in a Tudor kitchen …cooked on an old AGA cooker that stays on all the time. It is one of those things I’ve always dreamed of having but never quite pulled off… they weigh as much as a truck and are very pricey over here in the states... the big ones are over $10 grand and the on-all-the-time part might be a problem in 100º heat. I remember looking into it for my NYC loft and discovered it would have to be craned in through the 5th story window and that the delivery would cost nearly as much as the stove–– oh well. Still, it was great seeing one in action again. The good English breakfast was wonderful as Gilly uses the best locally sourced products. She told me that she had even started a farmer’s market in her old town before moving here so she knows her stuff. Also, the place is just inspiring –– the air is positively perfumed with flowers, herbs and grasses. What should I make with the house in mind? I’ve been in a baroque frame of mind lately (btw, the word baroque comes from the Portuguese and means rough shaped pearl, not overly done as we have come to understand it) so I headed to the 17th century cookbook aisle. Cuisine of the baroque era was expansive and I have found rich new fields of spicing combinations there… unlikely to our modern sensibilities but accessible and really delicious. Our modern cuisines have set patterns. I see the same ideas recycled over and over. And as I said to my friend Lazaro at Lazaro Cooks, new for new’s sake isn’t for me. However, tripping down less traveled pathways is always invigorating… especially when there is history involved. I thought it would be wonderful for a warm summer meal. Although the recipe states the chicken is done in a French fashion, you can feel the winds of North Africa in the use of preserved lemon. The sweet and sour quality of the dish is really gorgeous, sort of a proto-barbeque sauce. I did make a few changes. Not having mutton broth handy, I went for chicken broth… the ground almonds make the sauce creamy which is lovely. Also, and this is purely personal, I am not crazy about boiled chicken –– so I roasted my chicken and was pleased I did –– the skin is crisp and addictively fragrant with warm spices and the hint of preserved lemon. Also, those lemon peel ‘suckets’ are so delicious, a few of them were snatched away before they could be put on the platter! Pour 3 c stock and verjus in the pan, add herbs, currents, dates and ground almonds. Place the chicken in the pan on a rack over the liquid. Roast for 1 hour, check the liquid level so it doesn’t dry out… add extra stock if necessary. Remove the chicken and let rest for 15 minutes. Pour out the contents of the pan and remove any excess fat and the herb bundle. Taste for seasoning…. Add the sugar if you would like, I didn’t think it needed it. ancient recipes... it's a great idea. what a fabulous place to stay! I love the sheep. Good call on roasting the chicken. It looks delicious. My wife loves to stuff herbs and garlic under the skin of chickens before roasting. I'll be sure to tell her to add preserved lemon as well. I might try it on the grill to avoid having the oven on. Another wonderful and captivating travel and history post, Deana! When I first read the recipe and saw boiled chicken my taste buds balked. I'm happy to see that you roasted it :) I've never tried preserved lemon - something I need to fix. I selected it for the obvious Silk Road connections in the preserved lemon, the barberries and the verjuice. You however, have gone the extra mile and cooked a version on the dish and presented it beautifully. Thanks agina for a magnificent feast! What a wonderful post, and the chicken looks stunning. I love the thought of recreating such an old recipe. The ingredients are so evocative of that era. Your photographs are great. Chicken and lemon just seem to go together, don't they? I preserved some lemon and will definitely try this, Deana. What fun for you to have "lived" history when you visited GB. We are all benefiting from your experiences, genuine interest and knowledge of history as well as your talent in the kitchen. Another great post. I wonder what all the travel agents do for jobs these days?? I love Alison..I love that shot of her..Funny..I always thought baroque meant OVERdone..I learn so much here..
le poulet..looks so tender and moist.. It's so much fun to preserve lemons and have them at hand. Someone I know..her daughter just became a travel agent..We have one small company in town..she is doing well still.. It's amazing how may people are not internet savvy..or worried about concluding transactions etc..on the net.. I love the way you placed the lemon to look like a flower on the chicken..
That's a great destination, and I was just recently reading about the The Babington Plot, fascinating to learn about. The roast chicken looks superb, excellent with preserved lemons. I cannot picture you in a hotel. Only in the most unique b&b's. That is a gorgeous looking bird. Roast perfection. Nice acidic balance with the verjus. Three beautiful words to me...preserved Meyer lemon. Sublime. Good morning dearest cook, writer, poet extraordinaire!!! Well, you have pulled me in once again with your prose, photos of a world only imagined, and this fabulous history. 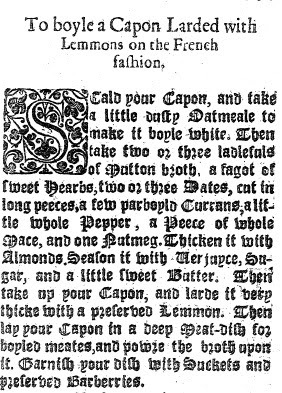 THEN THE RECIPE...I have had the pleasure of trying something similar to this, but without PRESERVED lemon, but rather, our local lemons. The result however, was nonetheless extraordinary and was reminiscent of N. African fare I had experienced in Paris! Dearest, you need to have your OWN TV SHOW!!!! Have you ever done that? Thought about it? History, story telling and cooking? You have all the makings for a hit. Do you remember the "Two Fat Ladies?" Hilarious, but ever so witty and intelligent, they would take me along in their motor scooter to abbeys, castles and cottages to cook up THE REAL DEAL....no skimping on butter!!!! What a delightful interesting post. I just found your blog. The recipe would make the perfect Sunday dinner. I am looking forward to following you and reading your earlier posts. What a lovely visit - I wish I could wander the paths of the farm right now! I'm going to try and find Uttley's book. You know I've been into chicken recently. The bronze skin is to-die-for. What an absolutely splendid discovery your blog is which we have happily found through a comment which you left on dear Helen's recent post. For some rather inexplicable reason we have never visited Chatsworth [although a parent was in regular correspondence with Debbie Devonshire, the letters of which we now have] and do not really know the area of Derbyshire which you write about here. Your description, and the historical notes which you include, make us very tempted when next in the UK to see for ourselves. We are, alas, no cooks but the chicken really does look delicious. And we are sure tastes it too. The Manor Farm sounds like a wonderful place indeed! Normally when I think of chicken and preserved lemons I think of tagines (which I adore) but I really like your version even more. I am such a fan of combining savoury and sweet elements. This dish totally does it for me! You're absolutely right about the character and charm in historic houses...you just feel like you're experiencing a different time when you're there. Manor Farm is lovely, thanks for sharing your experience with us. The roast chicken looks wonderful and sounds so delicious with all the flavors going on! Dethick is so close to where my parents live but I've never been there. Every year we go to Lea gardens for the rhododendron which is the next village. Your anglophilia is really charming and I say you qualify as an honorary Brit for your fabulous posts. Ah, the telex, it seems so ancient but isn't it nice to have much more choice and control in holiday planning? I'd always go for B&Bs. Deana...I am envious of your trip!What a beautiful place...and what a beautiful bird! I cannot come to you in a hurry because I want to savor every word. What a lovely place to visit. Computers have made travel easier but I still have my file of clippings. Gourmet led us to some fabulous places and I miss it terribly. The chicken dish is beautiful and I imagine tasted as good as it looks. Thanks for sharing all. The inn is lovely and the rates are great too. Love the history and the recipe. By the way, do you happen to know if it's safe to bake in antique tins? I have a German mold that looks to be 100 years old and I'd love to use it but am afraid of lead. Any thoughts? You sure know how to pack a lot into one post! I never know where to start ... well, Telex. Oh my yes!! Ha. I really really want to read that Traveler in Time book now. And preserved lemons are SO great, they make everything special somehow. Never stop walking down your individual path, girl - not enough people do these days. Love the place,pictures of people. It seems the place is calm. Onions, Onions, Everywhere . . .